This is a important idea which i missed to share with you all. Its about adding custom font to your blog.This will very important for who are making own blogger template for their blog.There are lot of beautiful fonts available other web templates except to blogger templates.In blogger, you can use only stranded computer fonts like Arial Time New Roman or Verdana.If you were add font to your HTML/CSS, you had to installed to your computer.So, visitors also need to installed same fonts to see it properly.Some people still try to add fonts in this way without realizing errors. Google web fonts is the solution for this.If you add these google font, Anybody can view your fonts without having to have the font installed on their computer.Its easier to add it to blogger. Let make your blog attractive. Step 1: First go to Google fonts and select font. Step 2 : Once you find a font click Quick Use icon like below. Step 3 :On the next page, scroll down and get the “Standard” code like blow. Step 4 : Now you can copy that link code to your blogger template. This is how it do. You need to add a slash / to the end of the URL, like below, otherwise blogger will show up error. Remember to replace the font-family with your own generated font family. example like below. If you need any help related to blogging.Contact me through email or facebook. I'm glad to help you. I don't get it at the 'replacement' part..
where should I replace it? Thanks For Sharing Information. Your Blog Is very helpful For Work. These blog is helping us. Thanks for share. I will to try this for my blogs and share again. 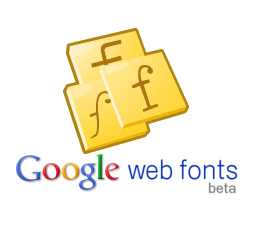 Nice post, every internet user like for Google font and this article is very helpful. Thanks For Sharing Such Information. Your Article is a very useful For Works.. I have been Finding For 1 weeks. I Will Try Trick. Your article is nice and very helpful for starter of blogger. It provide full description for changing the fonts in the blog. Thank you for sharing such a great article. It is really nice for use google font in our blog. This post will help me to develop my own-self website.This post have good information and a list of all the activity with good explanation. I also share SEO Tips and Tricks on My Website. Hope You can Also Learn Some Advance Tips from there.